How do puzzles support student vocabulary building? 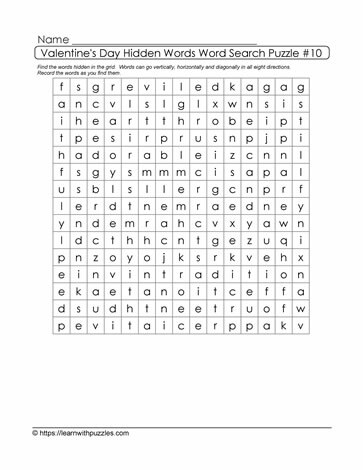 Word search puzzles, such as this hidden word word search puzzle, Engage the brain and activate problem solving skills, while consolidating both spelling and vocabulary building. Because students need to start with a foundational base of these theme based words, in order to locate them in the grid, it reinforces and consolidates their vocabulary base. This hidden word word search puzzle is probably best suited to students in grades 5,6,7,8 classrooms and homeschooling classrooms. The rationale for this is because students have a wider knowledge base and vocabulary acquisition. Create a cooperative and collaborative classroom by having students work together to solve the puzzle.